On Saturday night, we took the ferry across Puget Sound to Fort Worden State Park, just north of Port Townsend, to collect amphipods. I collected amphipods at this spot in 1983 for my master's thesis, and I wanted to see if gene frequencies have changed since then due to global warming. We collected the amphipods by putting plastic cups in the sand with a little water in them; at night, the amphipods come out, hop around in search of food, and fall into the cups. 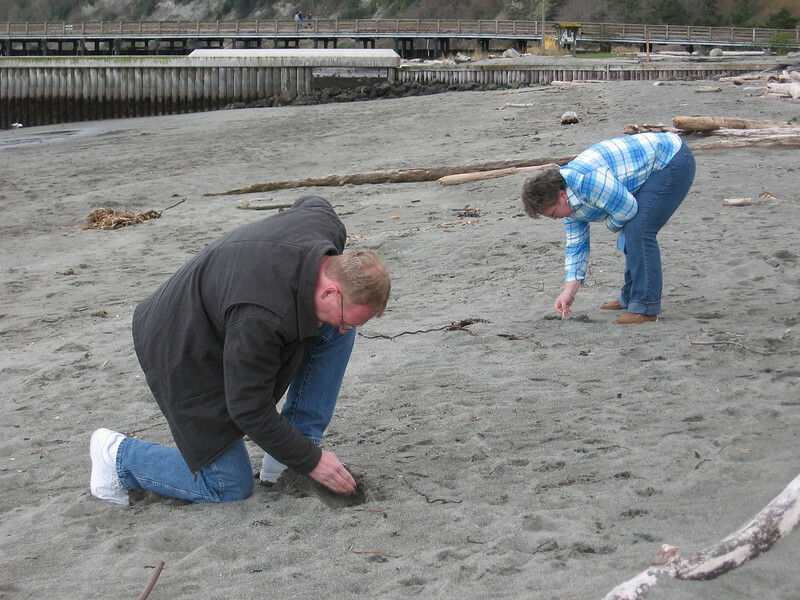 This is Rhoda and I putting the cups in the sand.